New Delhi, August 10: In an attempt to protect the Indian women deserted by their NRI husbands, the Ministry of External Affairs has decided to support them by providing legal and financial assistance of USD 4,000 per case in 13 countries. Union Minister of State for External Affairs V K Singh informed the Rajya Sabha about the developments stating that the Indian Community Welfare Fund (ICWF) Guidelines were revised in September 2017 with an aim to provide financial and legal assistance to distressed women married to NRI spouses by all Missions and Posts. In a written reply to the house, V K Singh said, "The amount of legal and financial assistance to distressed Indian women has been increased to USD 4,000 per case". Earlier, the assistance amount was limited to USD 3,000 per case in the developed countries and USD 2,000 per case in the developing countries, Singh said. The assistance is released to the empaneled legal counsel of the applicant or Indian Community Association, women’s organization and NGO concerned to enable it to take steps to assist the woman in documentation and preparatory work for filing the case, he added. External Affairs Minister Sushma Swaraj while addressing a national conference on NRI Marriages last month had stated that the Ministry of External Affairs is developing a portal where summons and warrants against absconding NRI husbands would be served, and if the accused does not respond, he would be declared a proclaimed offender and his property would be attached. On the issue of NRI marriages, she further added that efforts are being made to provide justice to those females who have suffered in such marriages. 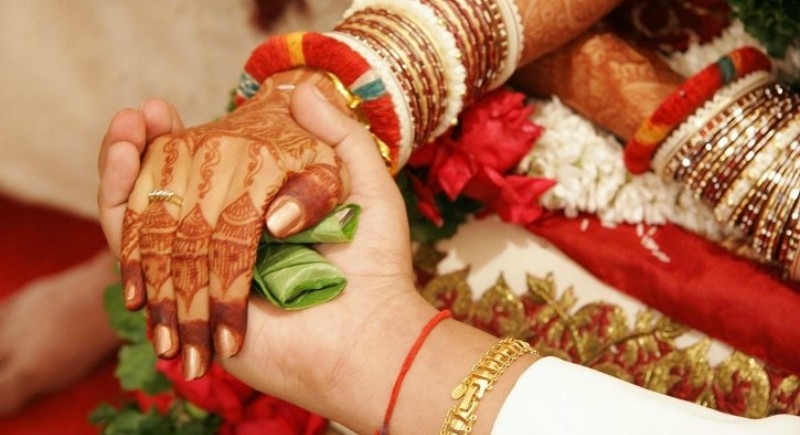 She asked people to carefully verify the NRI grooms before the marriage. She said, in Punjab alone, more than 15,000 females have been left by their NRI husbands which is a matter of concern. The government is therefore taking efforts to curb such ill activities and help the deserted women get their right and the accused is punished.